Life should be simple, not complicated. The Woods 50001WD Indoor Mechanical Outlet Timer makes life just a little bit simpler by helping you save time and money. 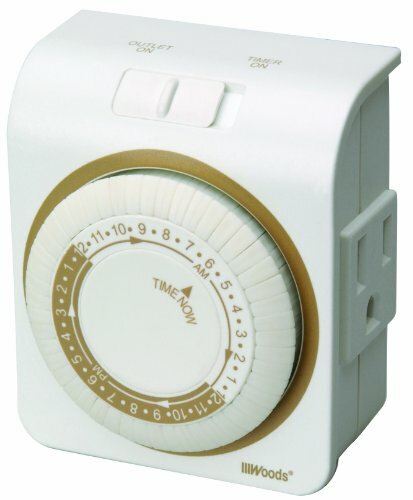 The outlet timer is perfect for any 3-conductor appliances that needs to be switched on or off at regular intervals, such as holiday lights, indoor lamps, or fans. Are you going on vacation and worried about leaving your house empty for the weekend Set the timer to turn a lamp on and off to simulate that someone’s home. The timer works will with both LED and fluorescent lights.